Young kids need to develop at international level and along with some of the veterans still available, the England manager should be able to mould this group of players into one of the best balanced England sides for ages. As long as Capello is strict and firm with the pruning then the new shoots should blossom into making England strong Euro 2012 contenders. I stand by my belief that England will continue to struggle without a winter break, but on another point, how can we continue to believe the hype that surrounds the England team whilst data has shown youngsters abroad enjoy nearly 60% more contact hours with elite clubs, and at some stages nearly double the time of young Englishmen. Despite the obvious talent of Jack Wilshere, most English players are already handicapped by the time they reach international level, and struggle to compete technically with foreign players. Add to the fact Germany have 34970 UEFA A, B & Pro licence holders, Italy 29420, Spain 23995 and England only 2679 and you realise Butcher, much like his colleagues in the build up to the 2010 World Cup, has already unjustifiably begun hyping our England’s most promising players. Butcher’s claim that the likes of Aaron Lennon, Peter Crouch, Michael Dawson, Theo Walcott, Ashley Young and Gabriel Agbonlahor form a “really strong nucleus for the future” entirely ignores the fact that whilst these are obviously good players, they are inferior to their foreign counterparts on the basis of a weak football education. 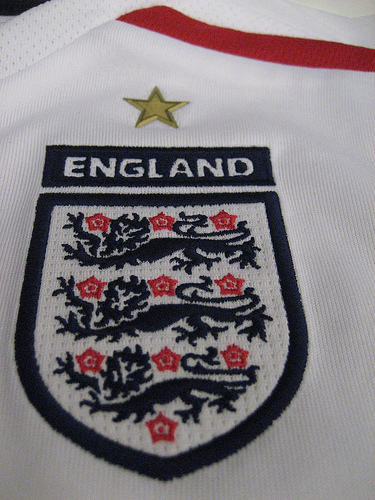 England will not win Euro 2012, nor come close. Not a lot changes in two years.